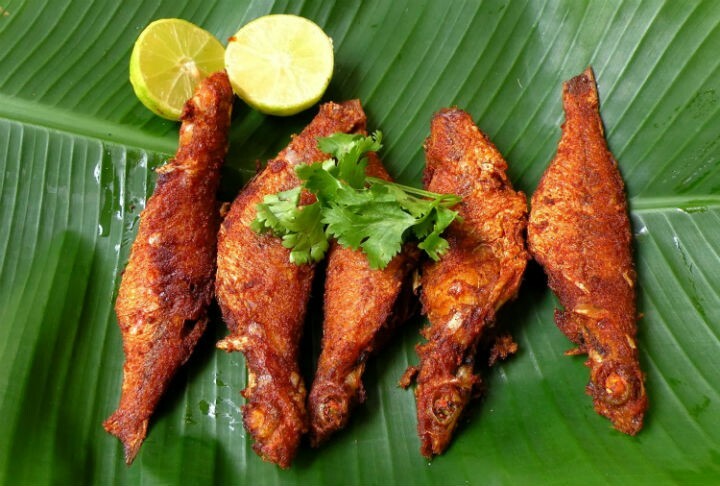 Sankara Fish Fry is a very popular fish fry recipe from Tamilnadu. Sankara Meen is also known as Red Snapper (English) or Aarass ki Macchi (Bengali). 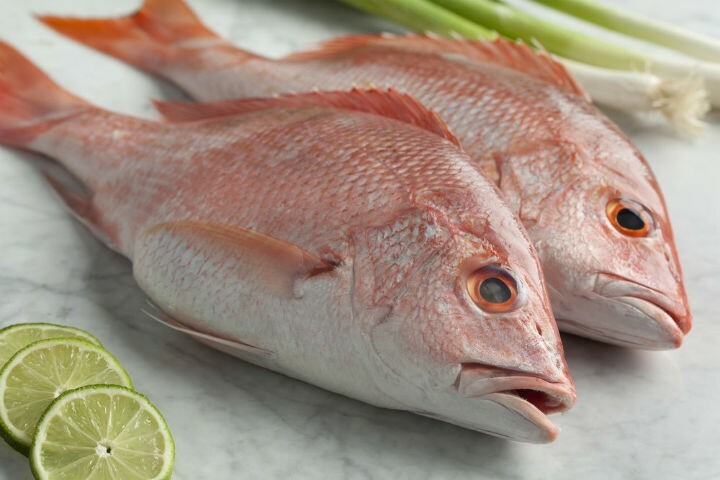 Sankara Fish or Red Snapper is pretty popular and easy to source. It gets its name from the the pinkish hue of its body and the sharp snapper like jaw and big eyes. The flesh is white, delicate and mild. It is moist and has a mildly sweet and fresh taste. Some of the popular ways of cooking this fish would be broiling, grilling, frying or cooking it as a curry. Sankara Fish is a low-calorie, lean source of protein that is rich in selenium, vitamin A, potassium and omega-3 fatty acids. As always with fish, the best ones are those that are freshly caught. It also helps if you know a local fisherman who can get you the catch of the day. If you don’t have access to any such benefits, don’t fret, here are some tips you can adopt to make sure your seafood is worth the money you pay. As mentioned earlier, the Sankara Fish’s eyes need to look bright and big. If the eyes are glazed or look dehydrated, it’s best to stay away from it. It should smell fresh, mild and pleasant. The backbone of the fish should indicate a bright colour. This is a sure shot indication that you have nailed the right fish. In this typical Tamil recipe, the aroma and taste is purely because of the masala ingredients used. I’ve used Kashmiri red chillies to give the bright red colour and mild spiciness. If you love it spicy, feel free to substitute half the Kashmiri red with the regular long red chillies. You can also try some of our other fish recipes like Chettinad Fish Fry, Vanjaram Meen Varuval, or Beer and Vodka Battered Fish Fingers. I’d love to know your take on this Sankara Fish Fry recipe. Do share your thoughts and comments with us and don’t forget to take pictures if you have tried this recipe. Thoroughly clean the fish and make small cuts on its body so it absorbs the flavour. Grind all the ingredients under the “To Grind” list to a fine paste adding a little water. Apply this paste over the fish and marinate for a while. Heat a dosa tawa or frying pan on medium flame. Heat the gingelly oil and add the cumin seeds, fenugreek seeds, finely chopped garlic, shallots. Stir fry until the raw smell disappears. Now add the marinated fish and fry them till golden brown. Feel free to comment or share your thoughts on this Sankara Fish Fry Recipe from Awesome Cuisine.